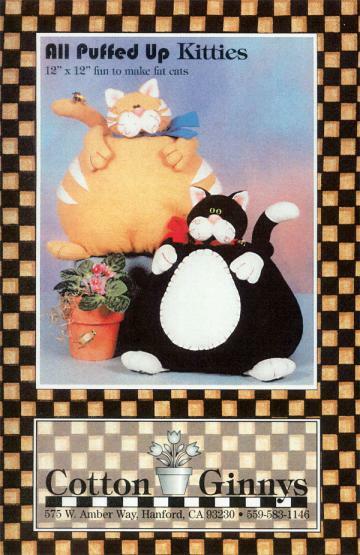 A fat cat pattern that's purrfect for kitty lovers. Finished kitties are approx. 12" x 12". The cats pictured on pattern covers are made with WoolFelt by National Nonwovens. It has some wool added so when you pre-wash it it gets a great texture and kinda puffy. 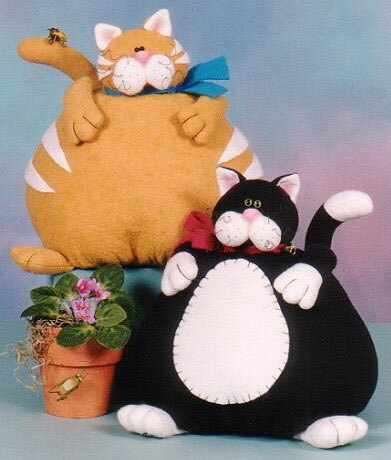 You may use many different types of fabrics or plush fabrics for these cats--even regular felts. 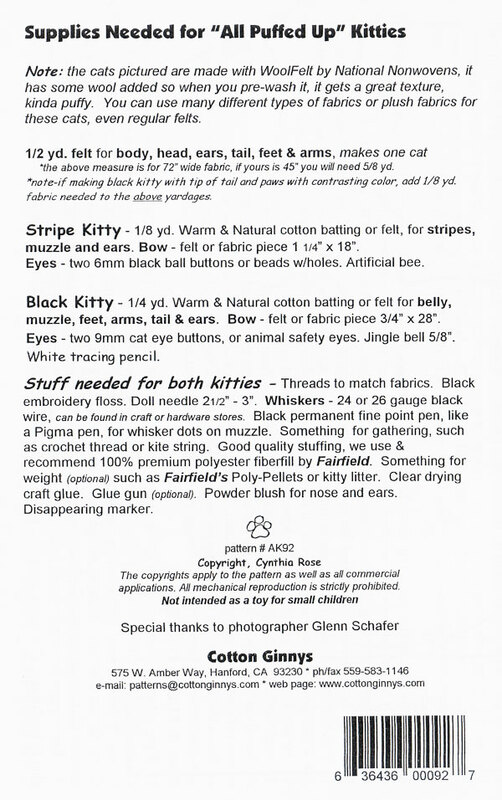 Use quality 100% premium polyester fiberfill for stuffing and Fairfield Poly-Pellets for weight. Would buy again from seller.